Mix all dry ingredients together. Add the coconut oil and mix in gently, then add the applesauce and milk. 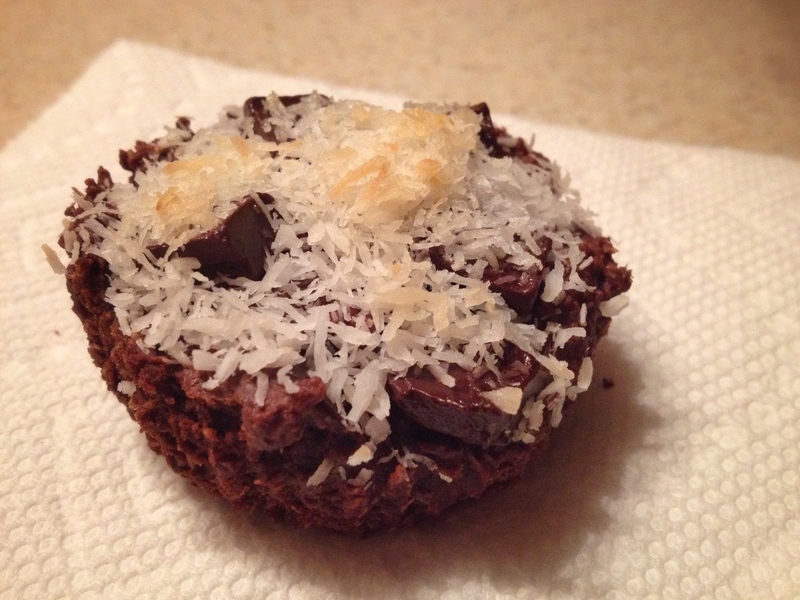 Mix in the shredded coconut and the chocolate chips. Spoon the batter into cupcake wrappers (about 1/2 way full). 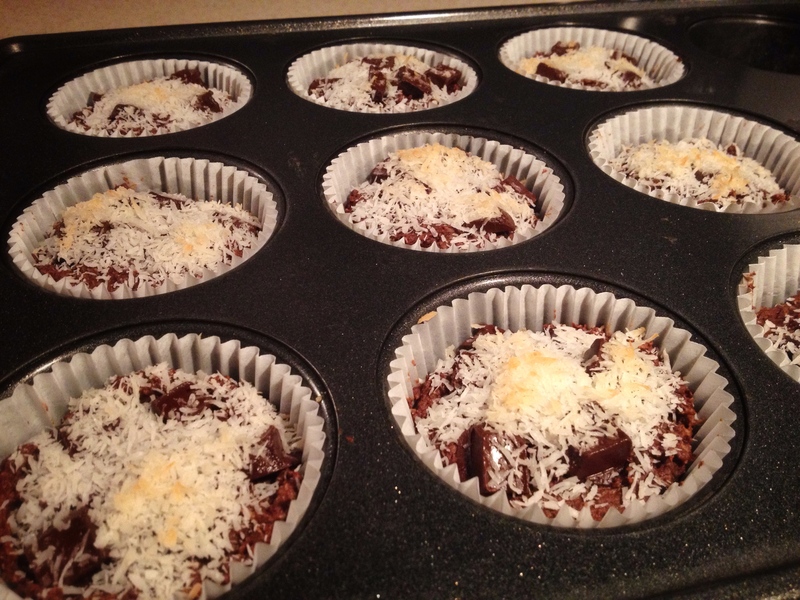 Just for good measure, top each cupcake with a few extra choc-chips and sprinkle a little shredded coconut on top.